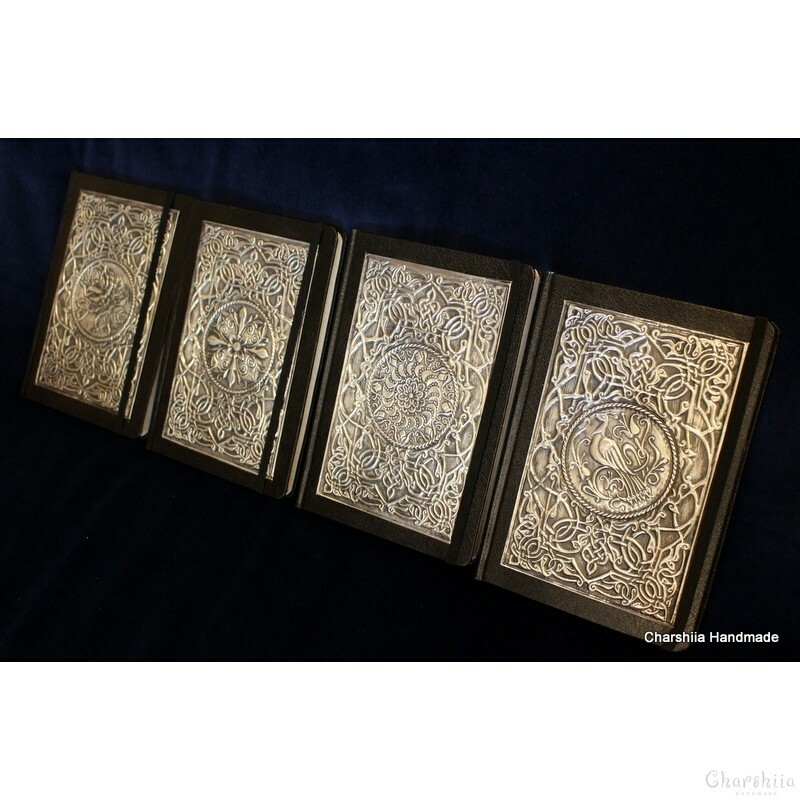 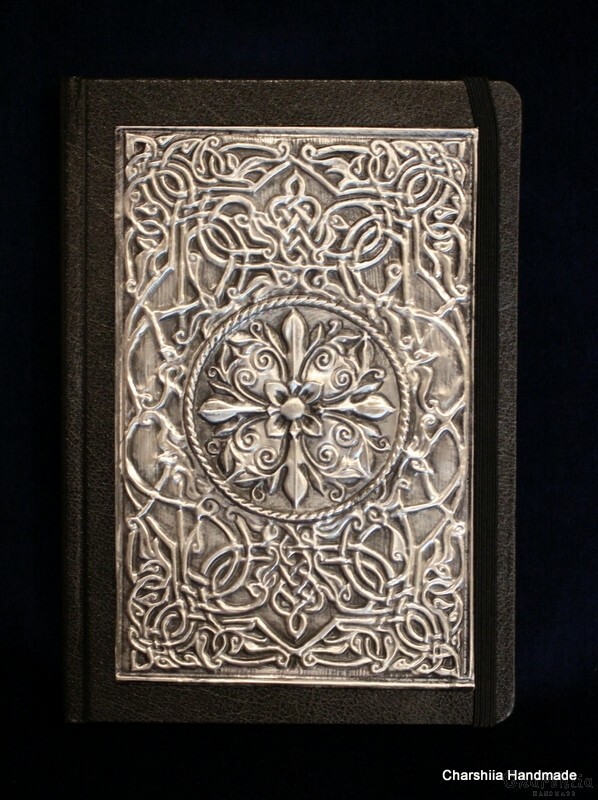 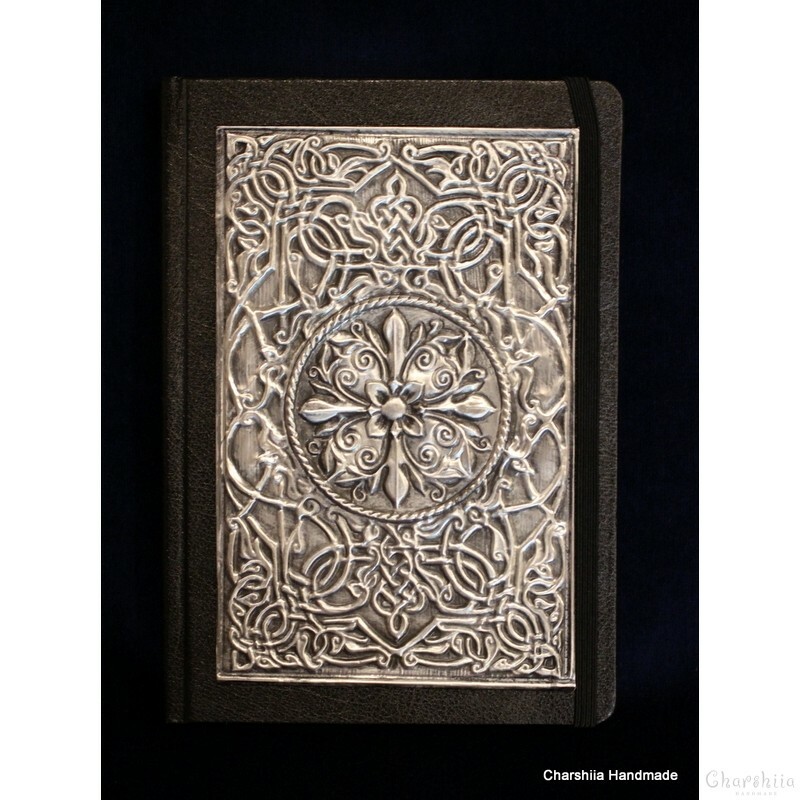 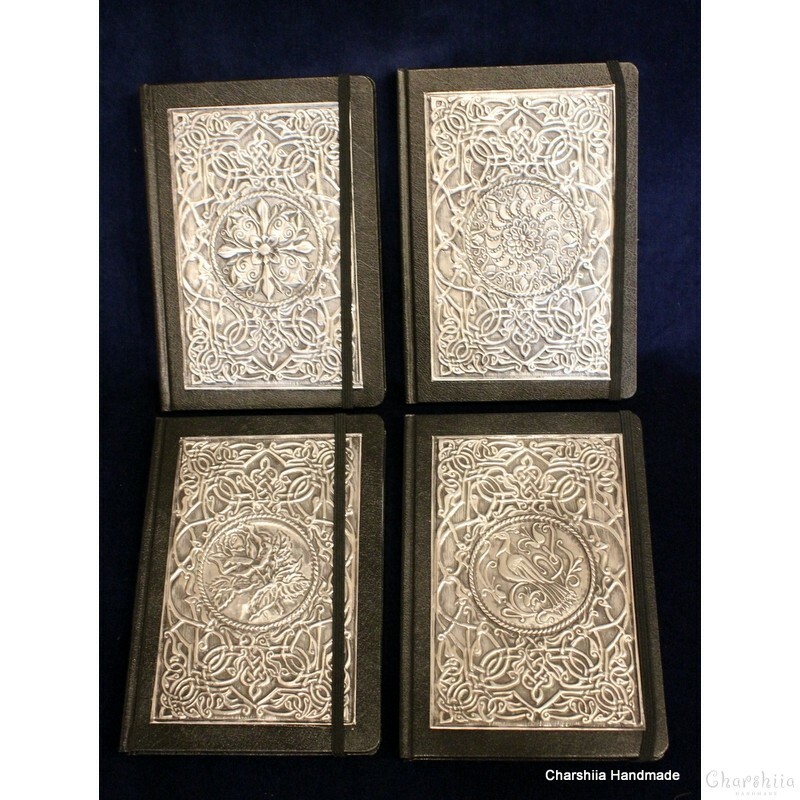 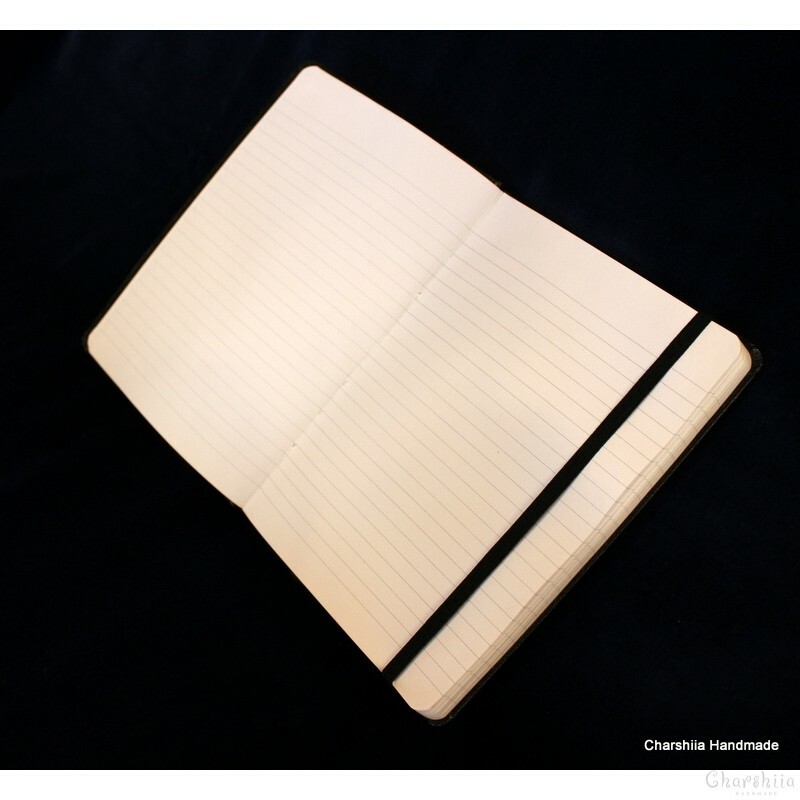 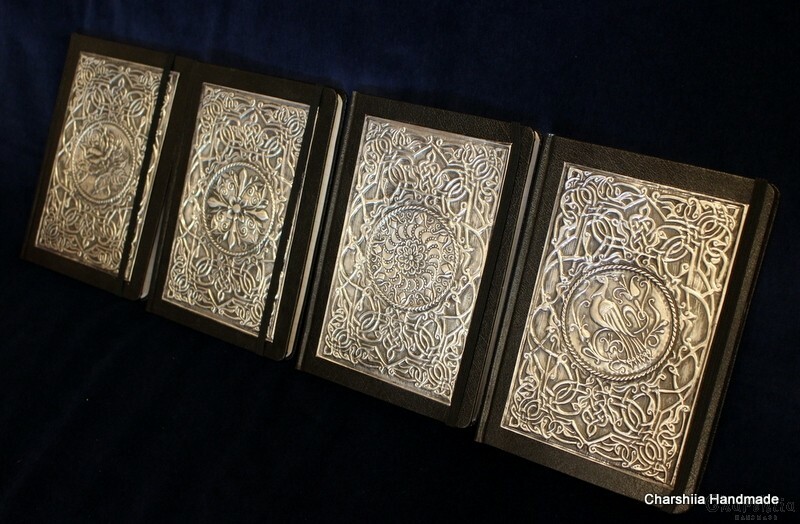 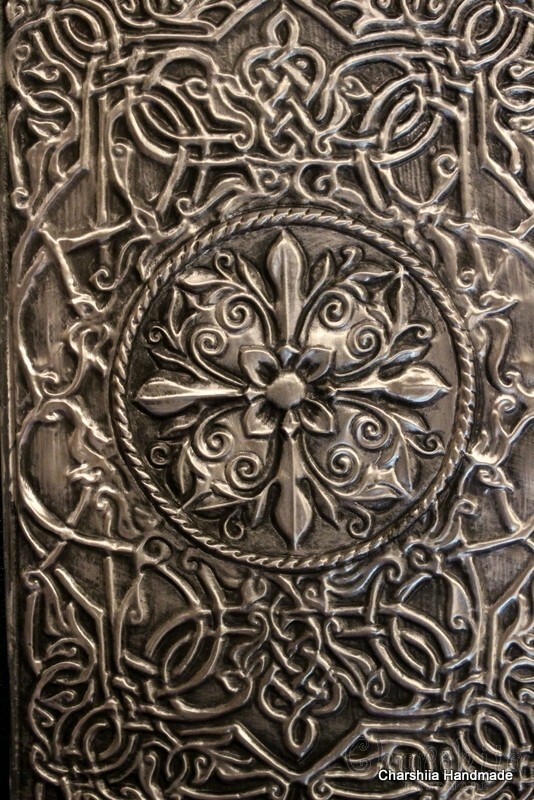 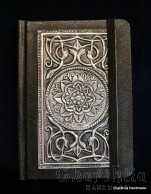 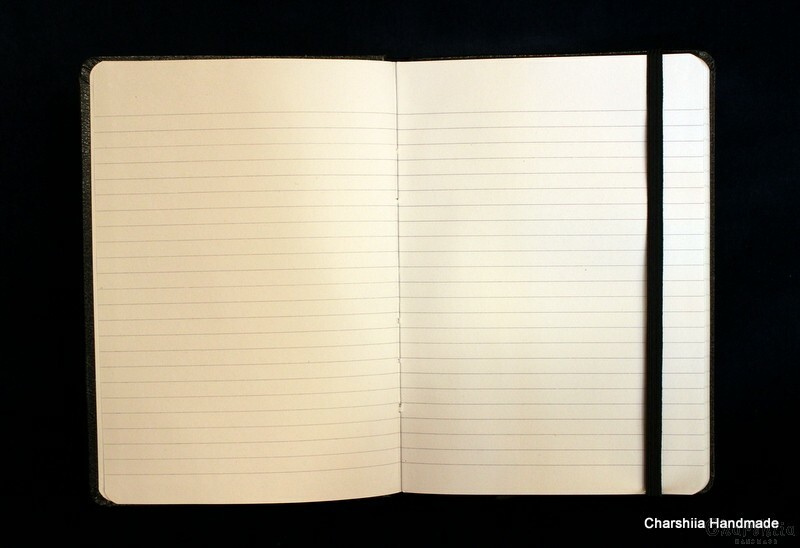 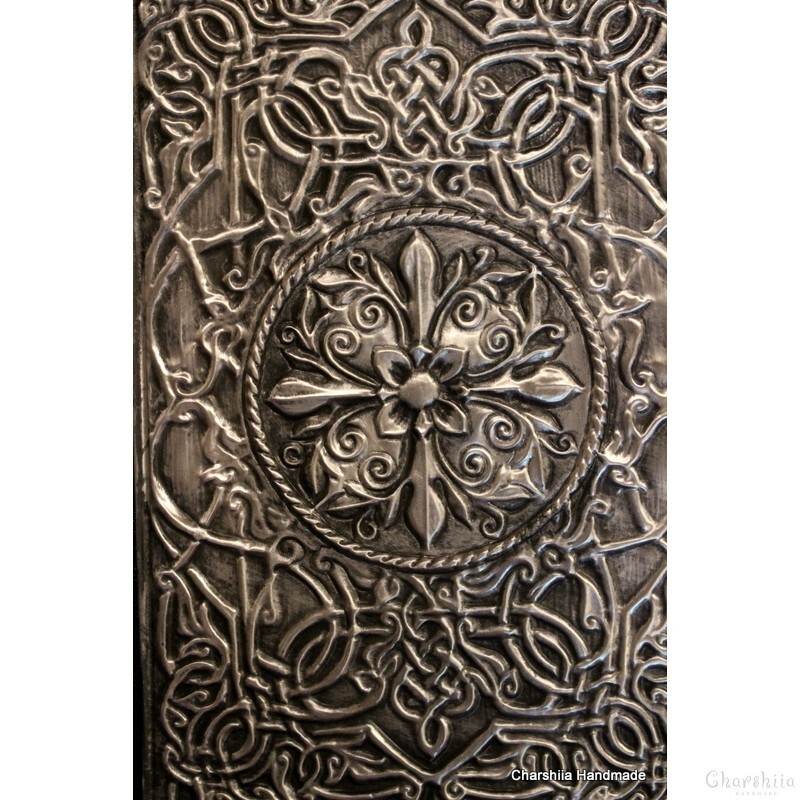 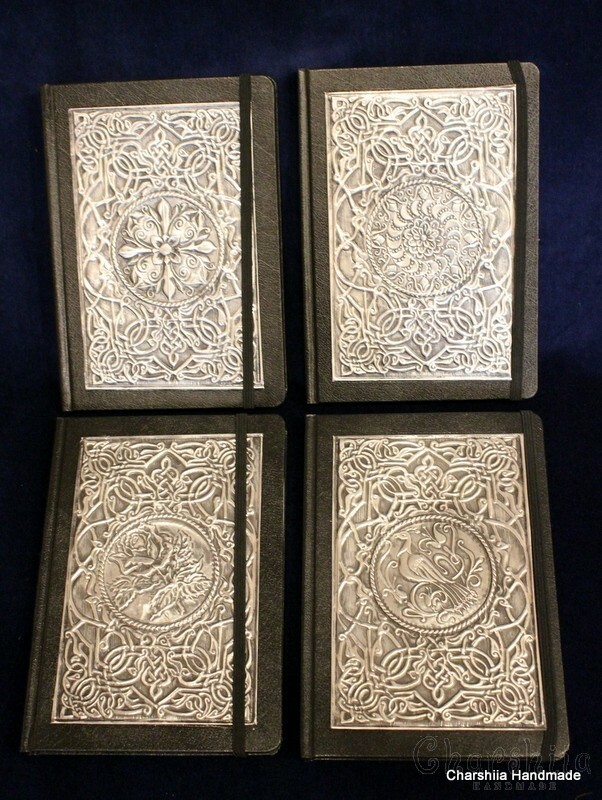 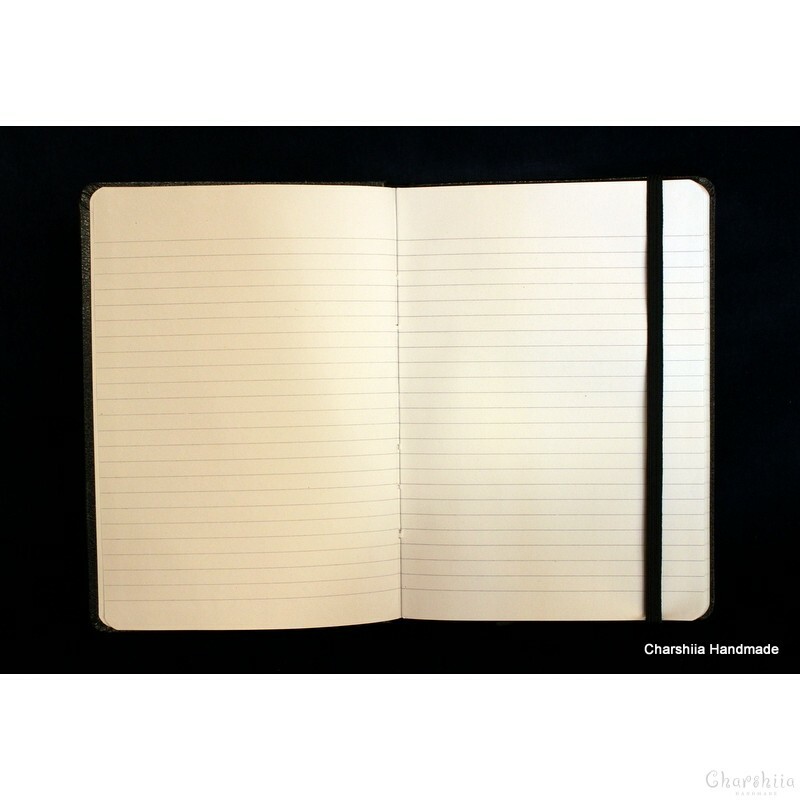 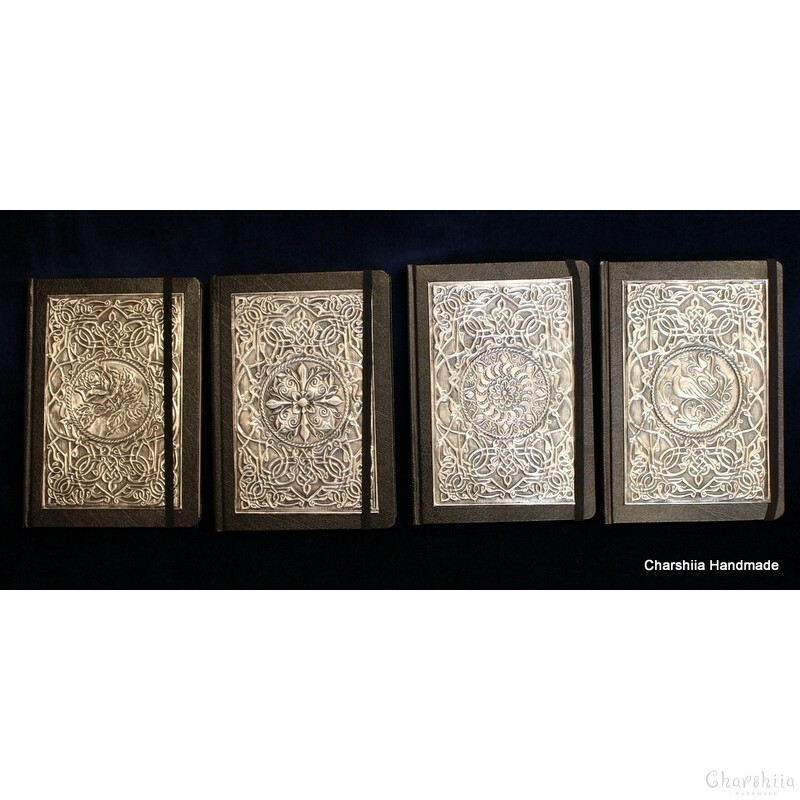 description of make: Notebook dressed in imitation black leather, decorated with aluminum sheet with floral elements. 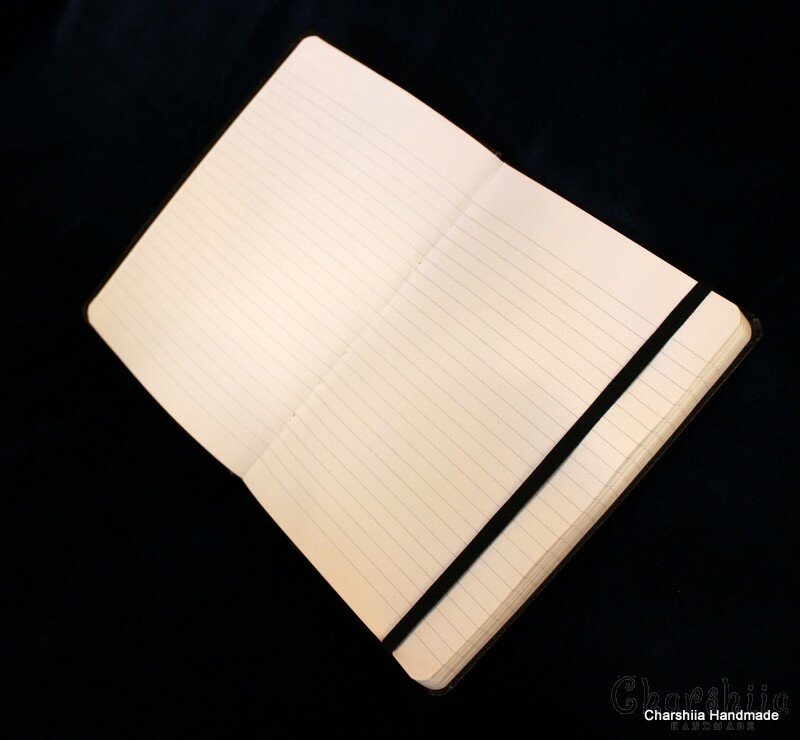 This notebook dressed is made with a lot of attention to details acquired through years of experience. 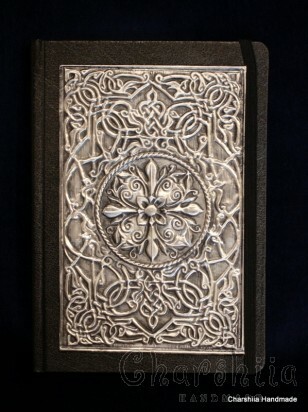 Handmade with identity and unmatched stylе. 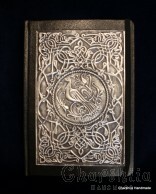 Gift for a woman, a gift for a man, a gift for office, a business gift.